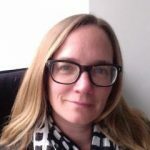 Andrea Voyer (BA, MA University of Chicago, MS, Ph.D. University of Wisconsin, Madison) will teach courses in theory, culture, and qualitative methods. 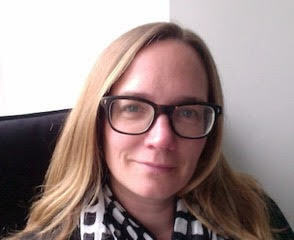 Her research focuses on processes of social inclusion and exclusion on the basis of immigration, race, and class. Her research on Somali immigrant inclusion was recently published as a book, Strangers and Neighbors: Multiculturalism, Conflict, and Community in America (Cambridge 2013). Her current research, funded by the Russell Sage Foundation, examines inter-class interactions in everyday life. She is also conducting an analysis of historical changes in Emily Post’s Etiquette for the insight that manners provide into the nature of American class relations. Prior to joining the Department, Voyer held appointments as Visiting Assistant Professor at Sun Yat-Sen University in Guangzhoi, China, Postdoctoral Fellow in the Center for Cultural Sociology at Yale University, Research Fellow at Linnaeus University in Växjö, Sweden, and Assistant Professor of Sociology at Pace University in New York City.